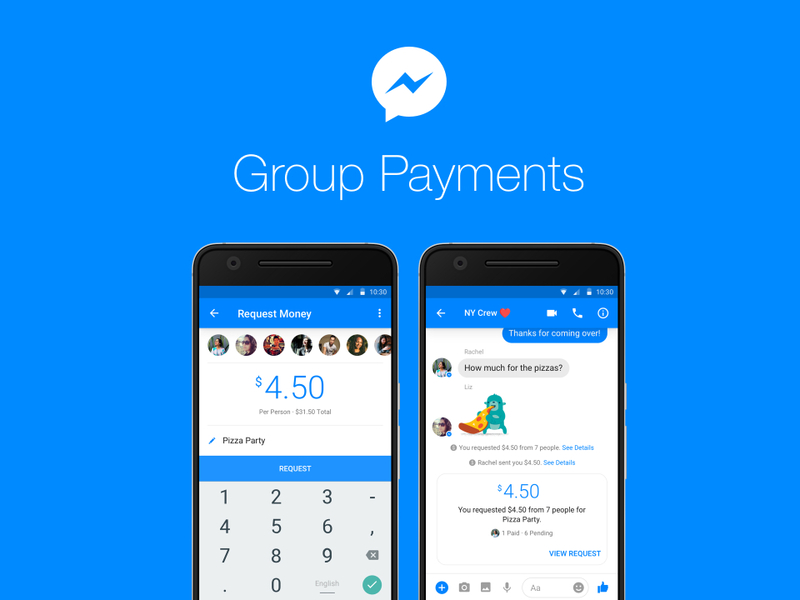 Facebook in 2015 added peer-to-peer mobile payments to its Messenger app. The addition made it easy for friends to swap cash but if you need to pay multiple people (to split up a restaurant tab or chip in on a gift purchase, for example), things can get a bit time-consuming. Fortunately, Facebook has addressed the shortcoming with its latest app update. The expanded payments feature now allows users to pay multiple people simultaneously (or request money from a group at once). Just like before, you’ll first need to link a payment card to your Facebook account and set up a PIN. Once that is in place, the process is very similar to paying an individual – simply tap the plus sign in the bottom left of the screen then select the “Payments” icon. From there, just select the people in the group that you want to send or ask money from, enter the amount and bam, it’s a done deal. As Engadget highlights, if you’re requesting money, you can enter in the amount you want from each person or simply input the total and let the app split the requested amount up evenly among the group. Messenger will show who has and hasn’t paid. Group payments should be available starting today for Android and iOS users in the US.